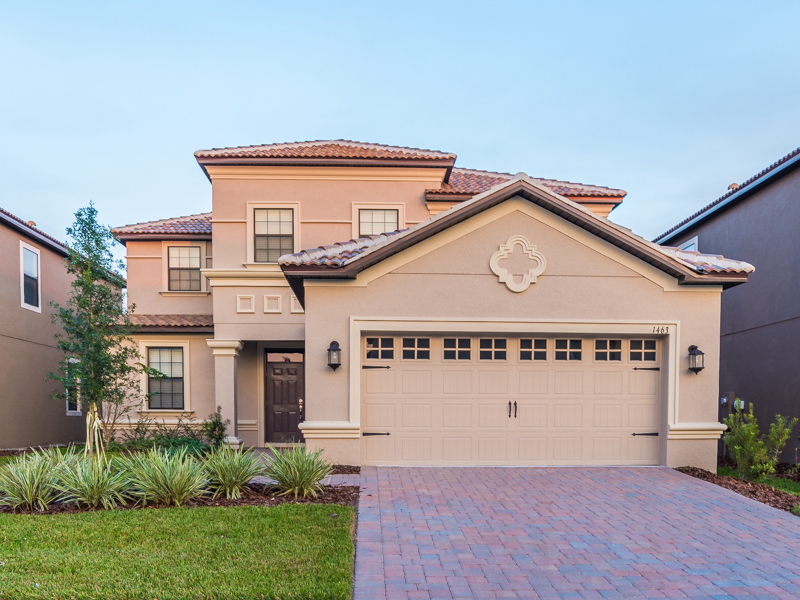 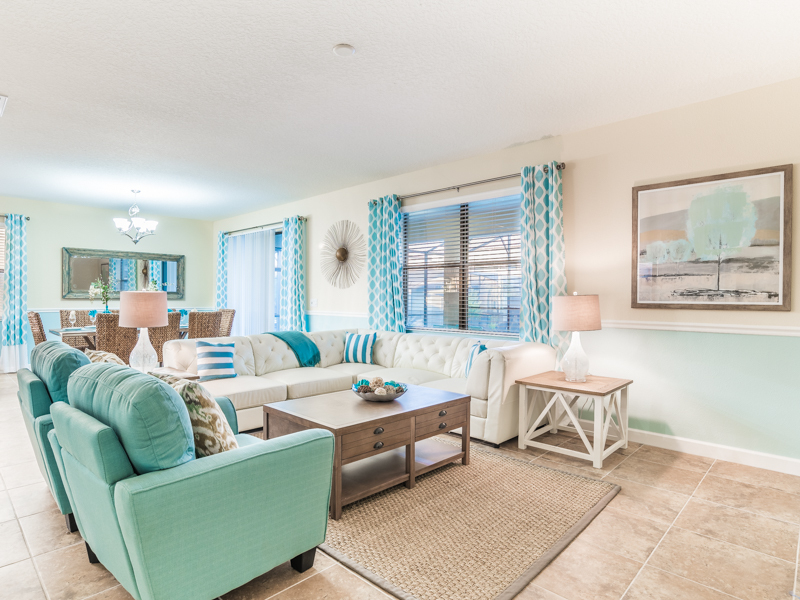 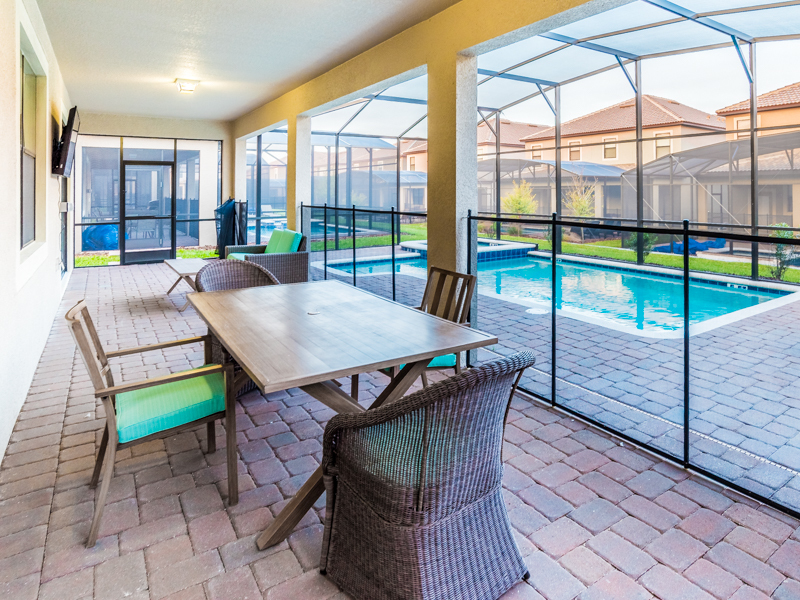 This fabulous 5 bedroom, 4.5 bathroom vacation rental is located in ChampionsGate, the premier Orlando/Kissimmee resort community featuring the spectacular Oasis clubhouse. 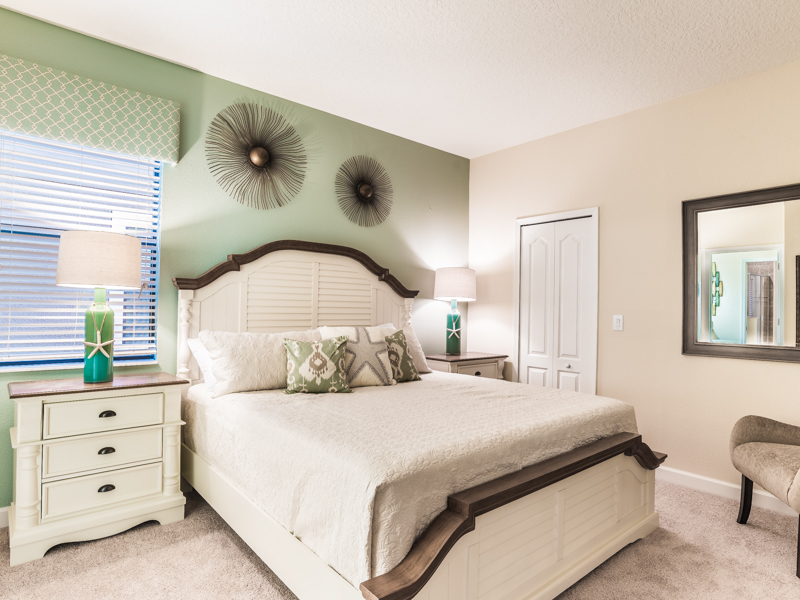 As you enter, you will find everything that will make for a perfect holiday. 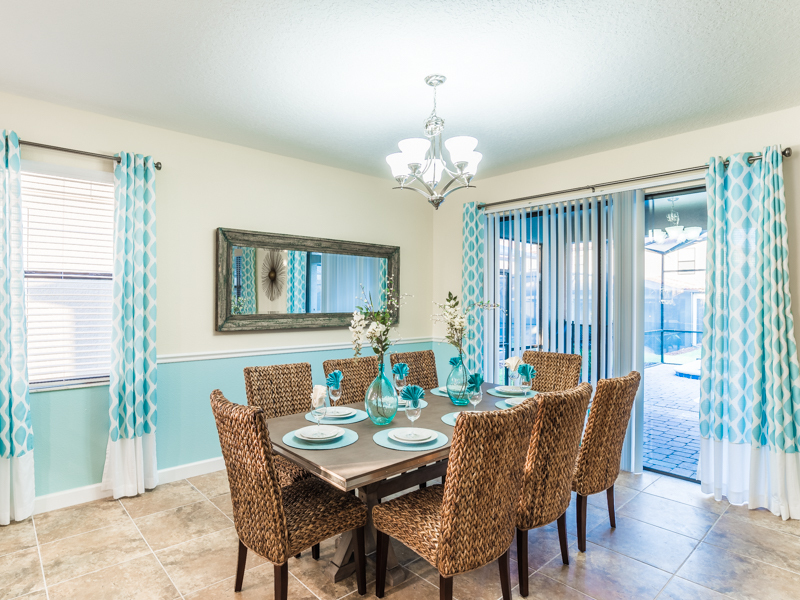 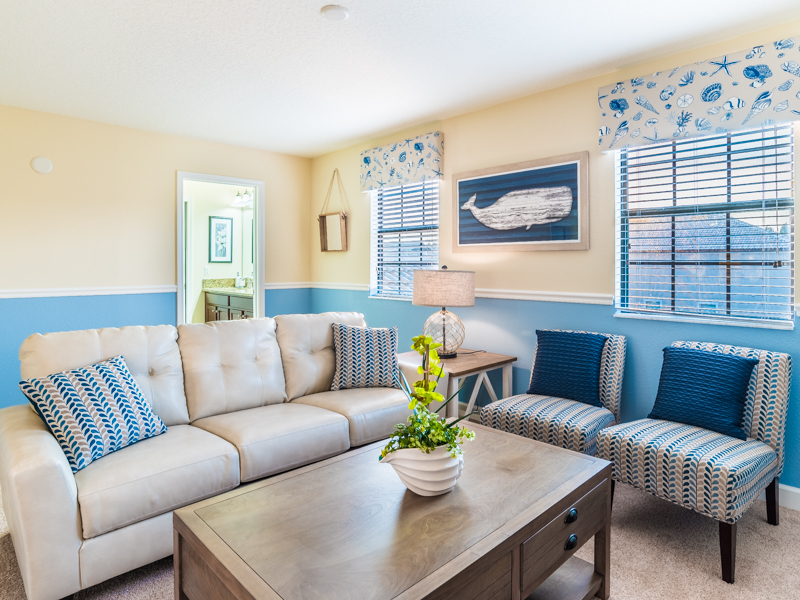 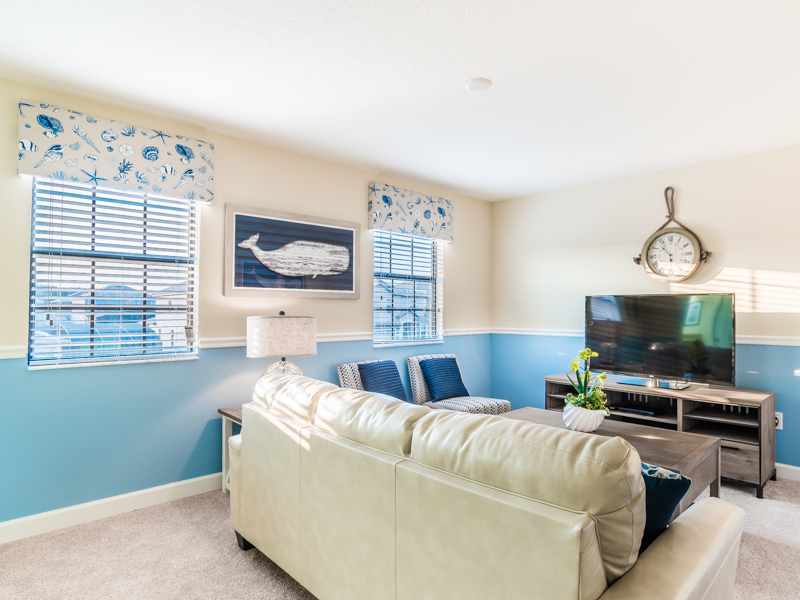 To start with, the home is professionally decorated, with special touches throughout. 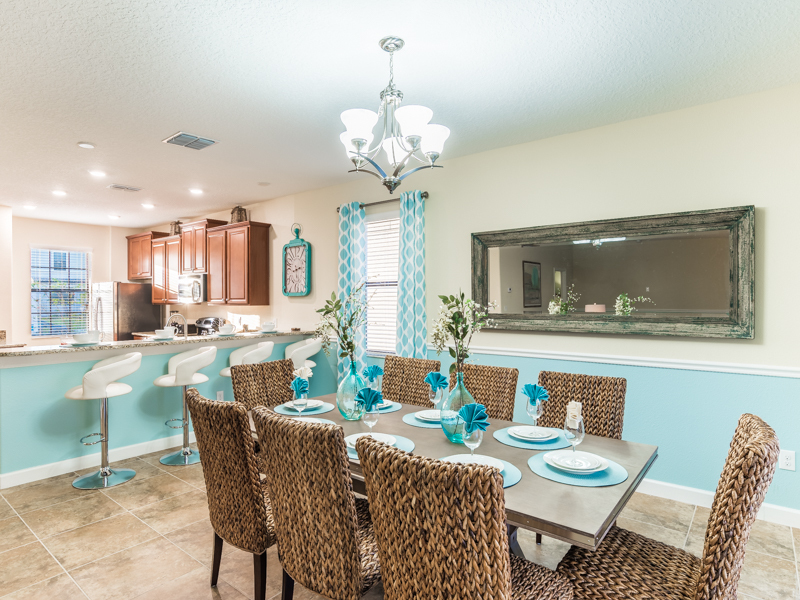 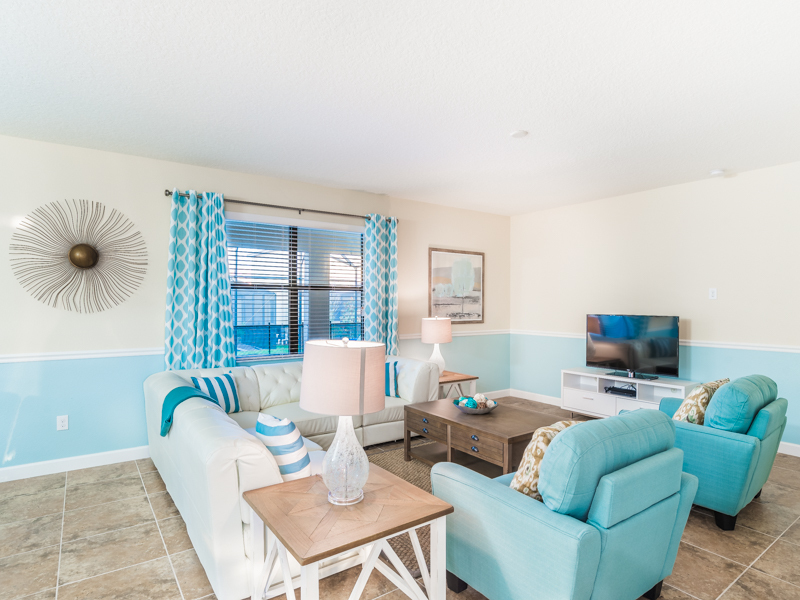 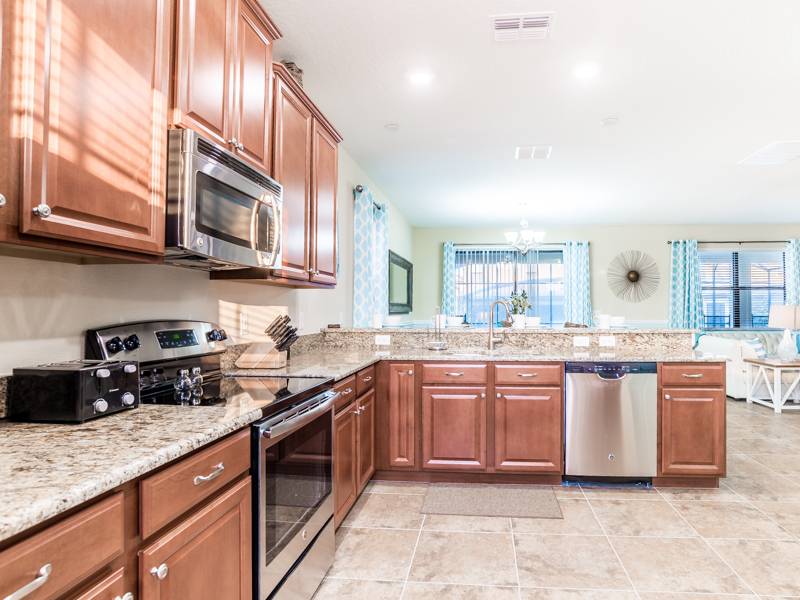 When choosing to dine in, the fully furnished kitchen, with stainless steel appliances, granite counter tops and upgraded cabinetry, will meet all of your culinary needs. 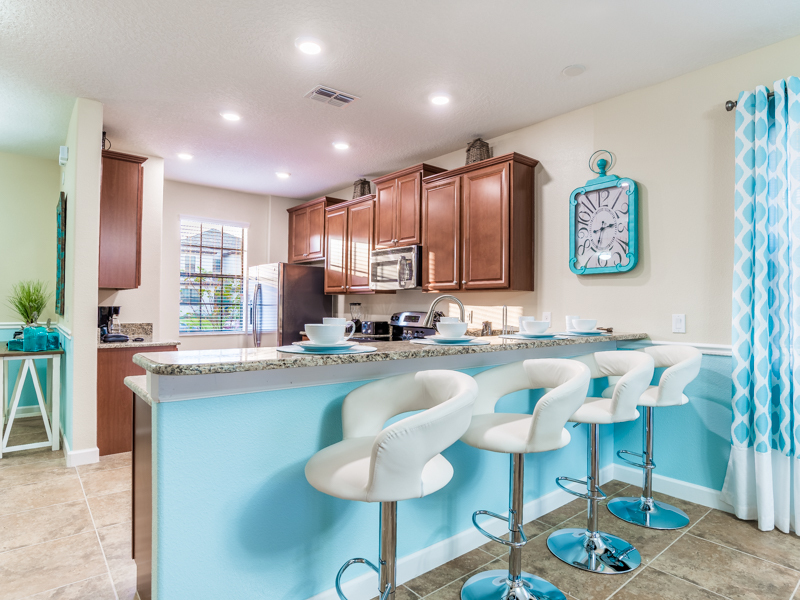 Along with plenty of seating at the dining room table, the kitchen bar has seating as well. 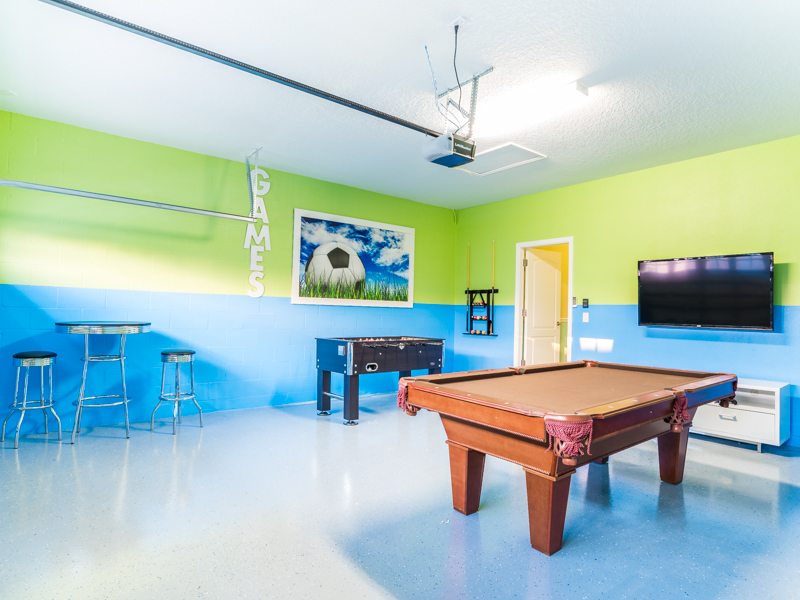 The air conditioned game room is ideal for spending hours together playing billiards and foosball and watching sports on the huge flat screen TV. 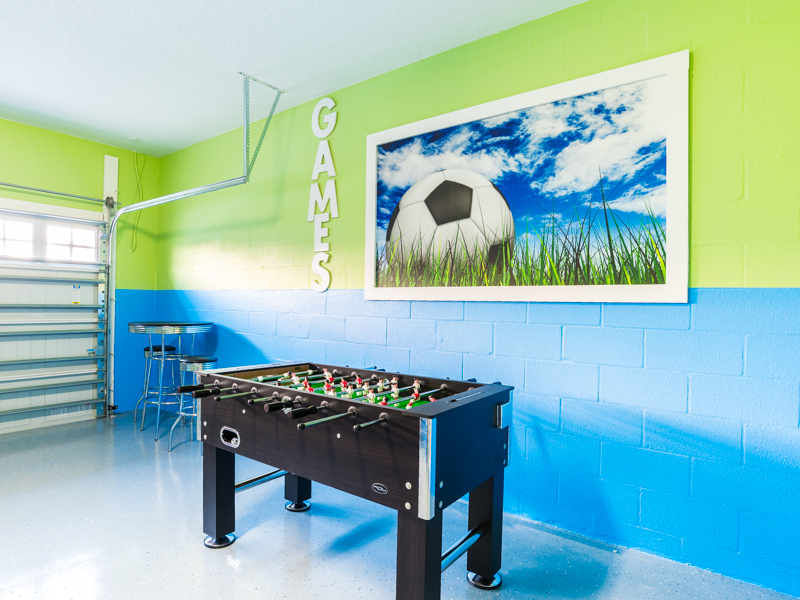 Also, there is one playstation 3 upstairs and one Xbox in the game room. 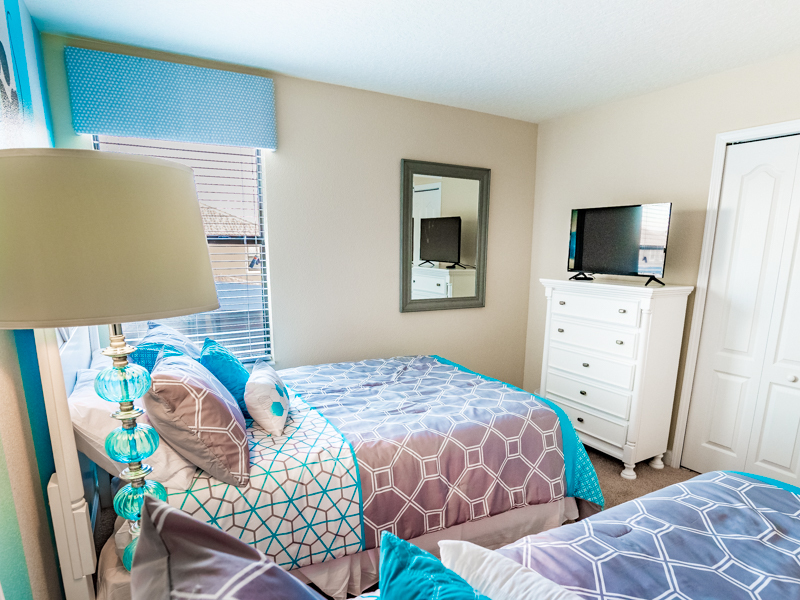 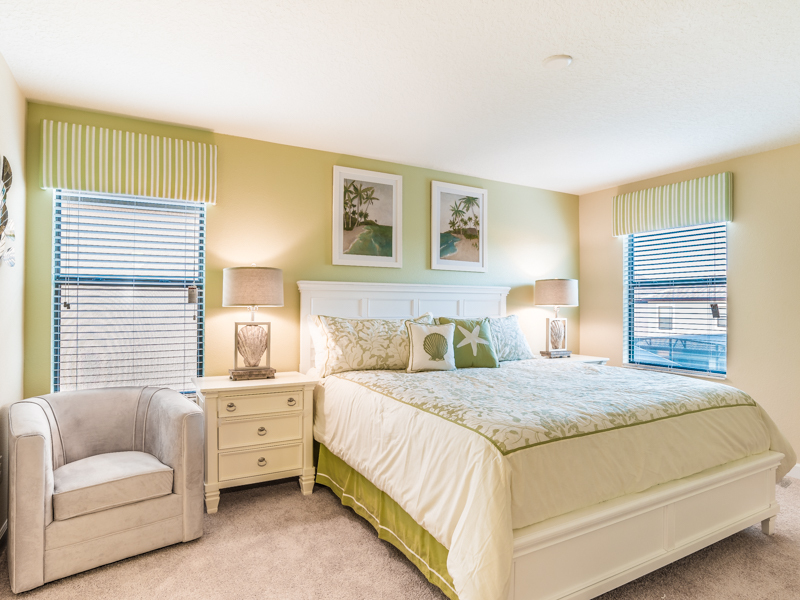 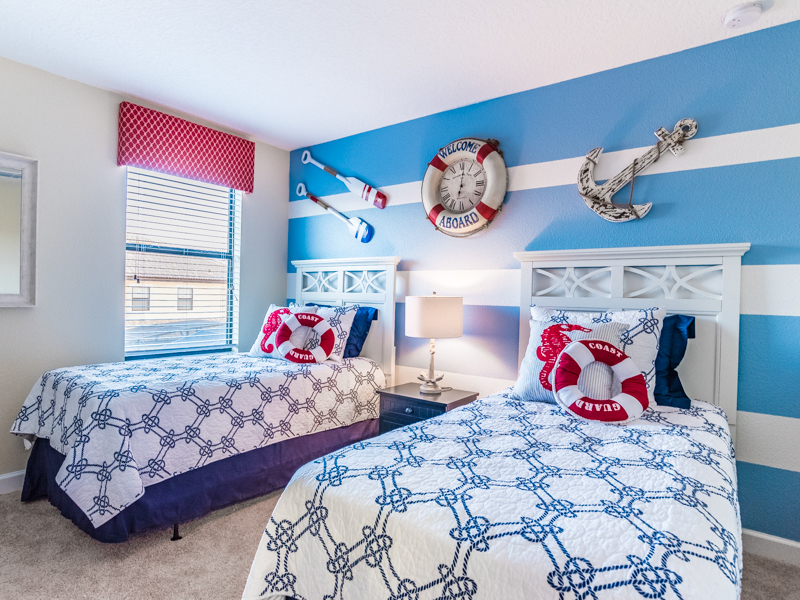 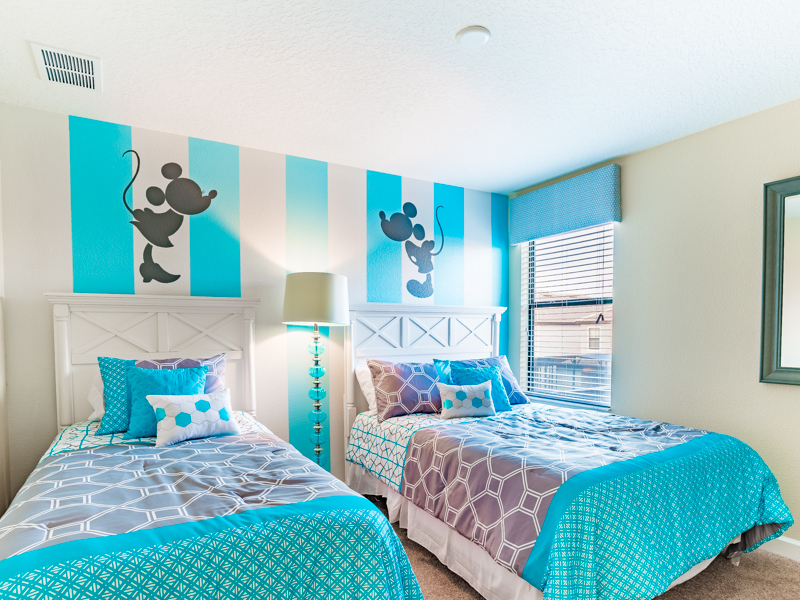 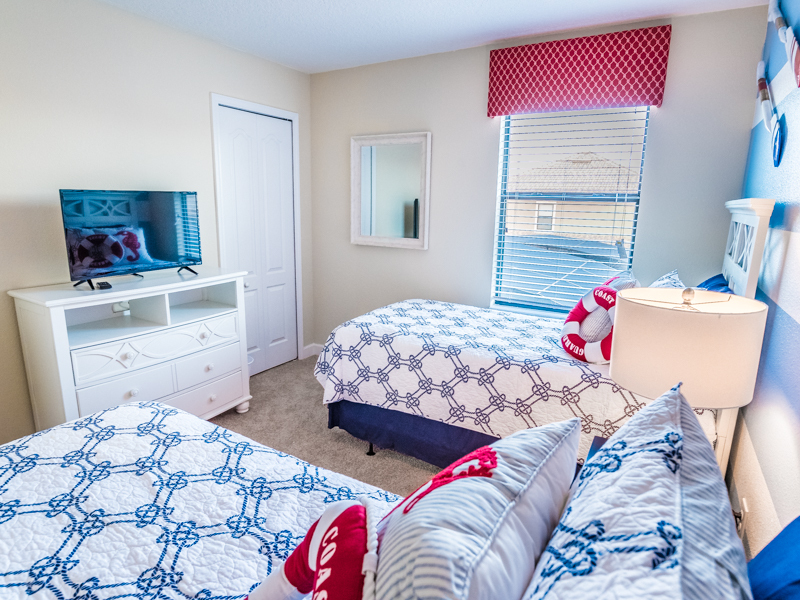 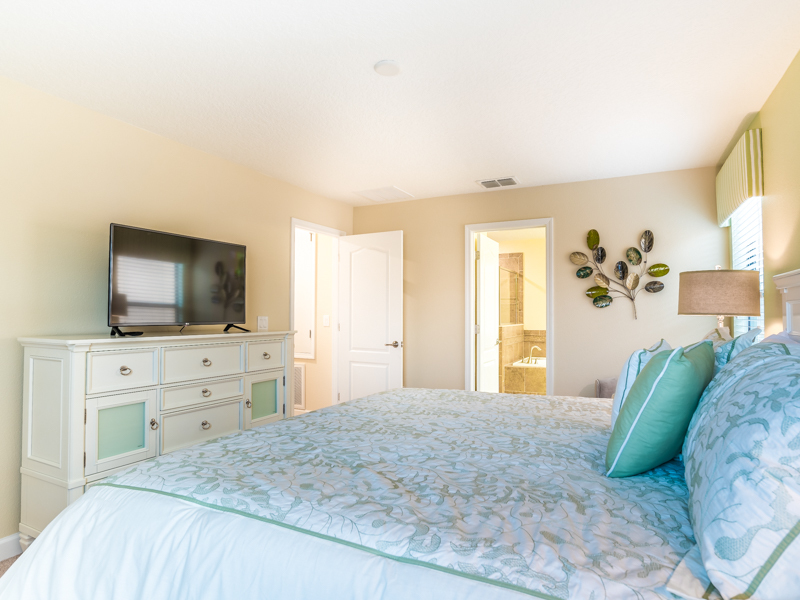 Each bedroom has its own flat screen and there’s ample bathrooms so everyone has their own space and privacy. 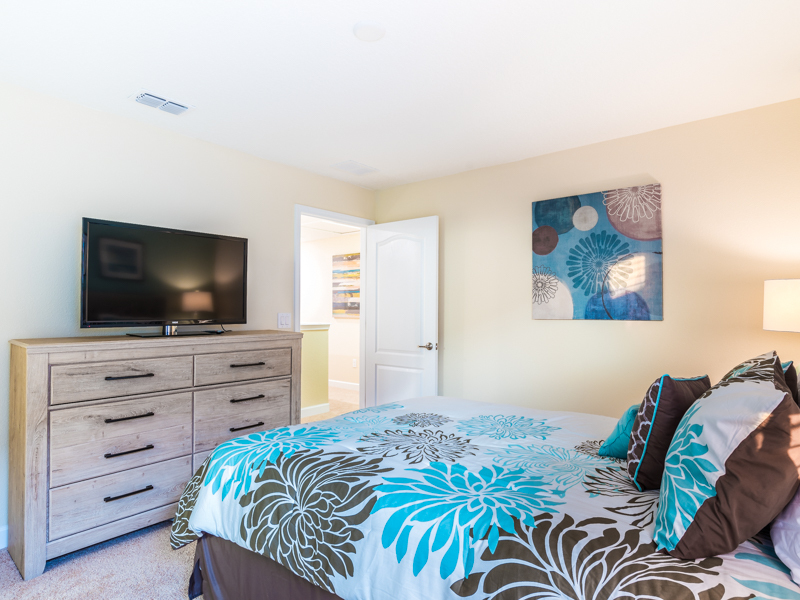 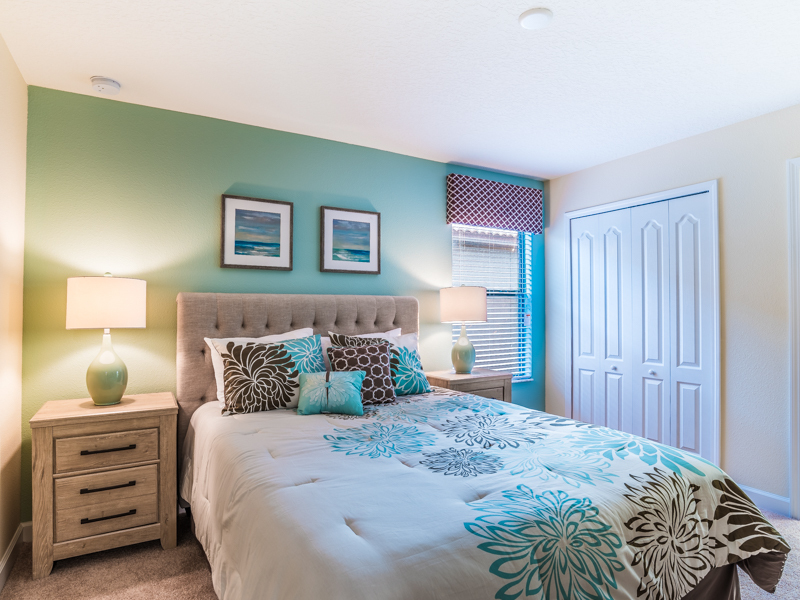 The bedroom configurations feature 2 king bedrooms, 1 queen bedroom and 2 twin bedrooms. 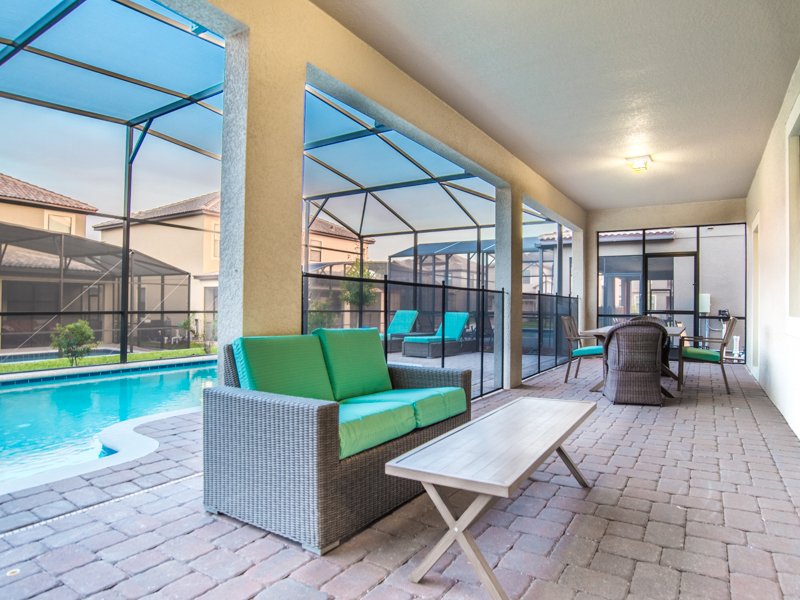 The outside pool area is fantastic and features a refreshing pool and relaxing spa, an impressive flat screen TV, plenty of padded sun loungers, a couch and a large table and chairs for poolside dining. 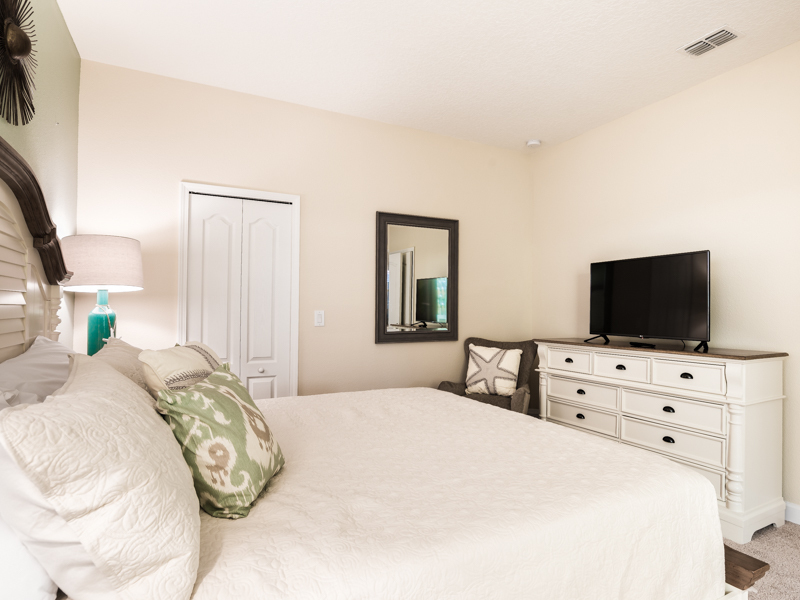 A washer and dryer is available for your convenience as well as free WIFI.